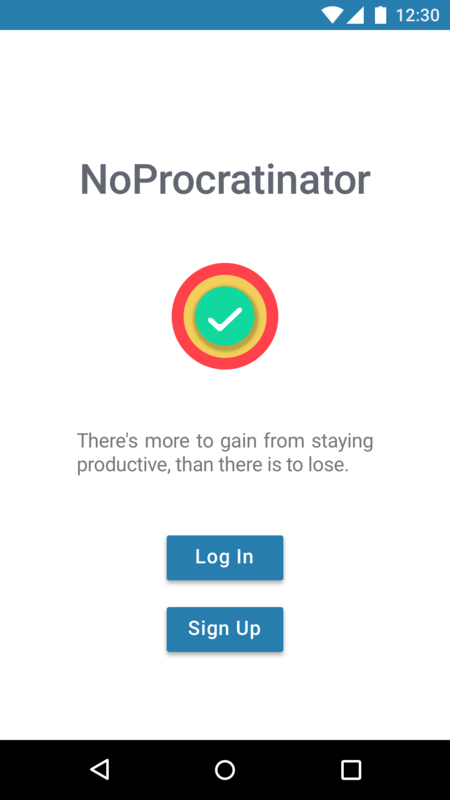 NoProcrastinator is a productivity application for mobile devices, that would help motivate users to complete their tasks and activities on time with the help of gamification. 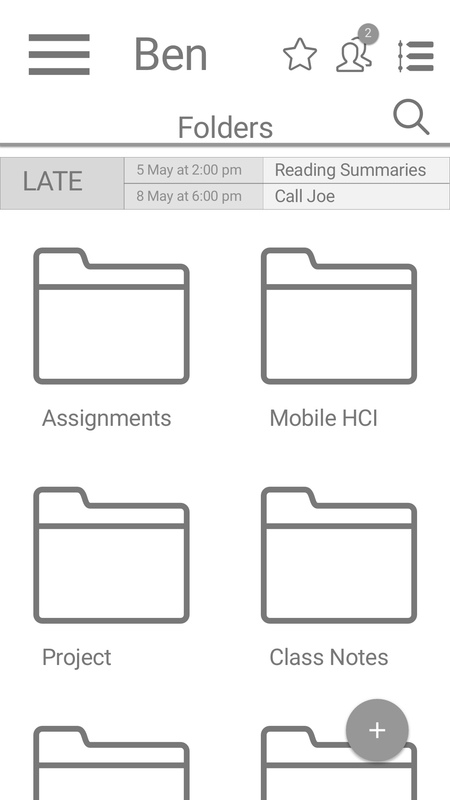 The basic concept behind this application is that it would be able to provide a platform for maintaining to-do lists and activities that need to be completed. 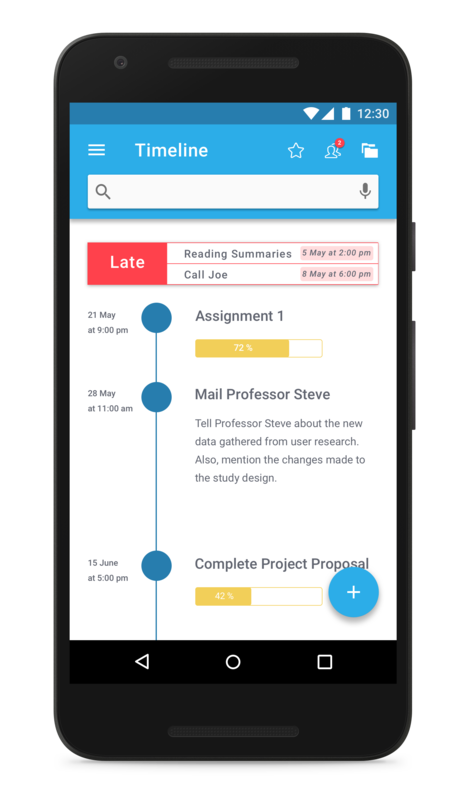 There are a significant number of products available for free that provide a platform for maintaining to-do lists and activities that need to be completed. 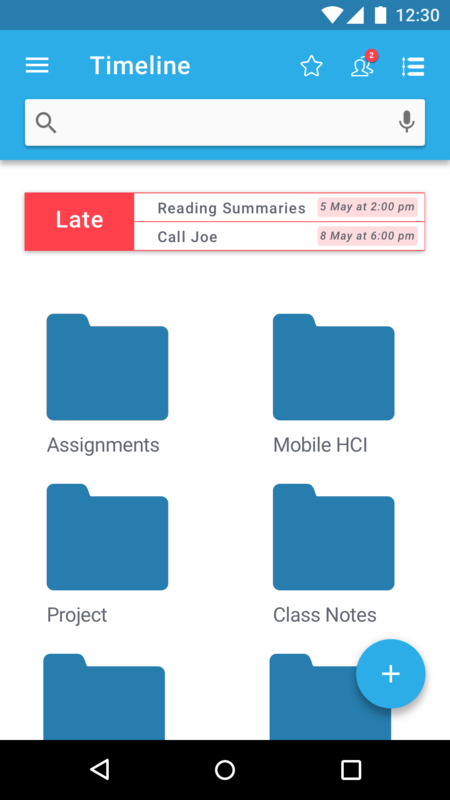 However, these do not always have the desired effect, as sometimes individuals may not always keep the task list updated, or follow the deadlines for certain activities. 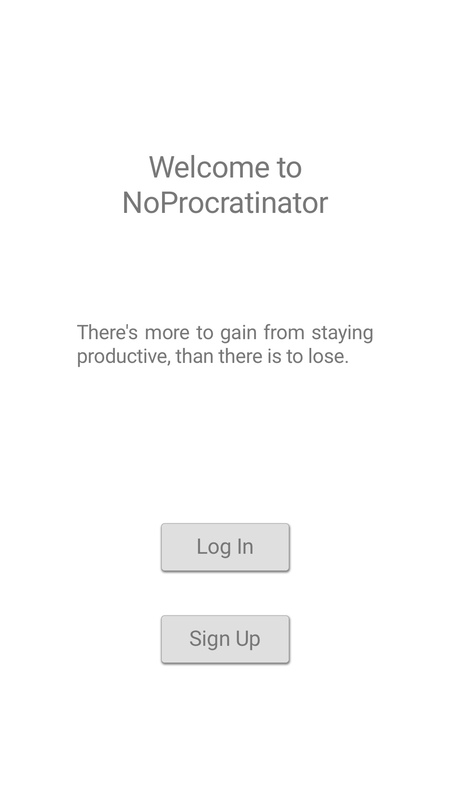 This often results in procrastination. 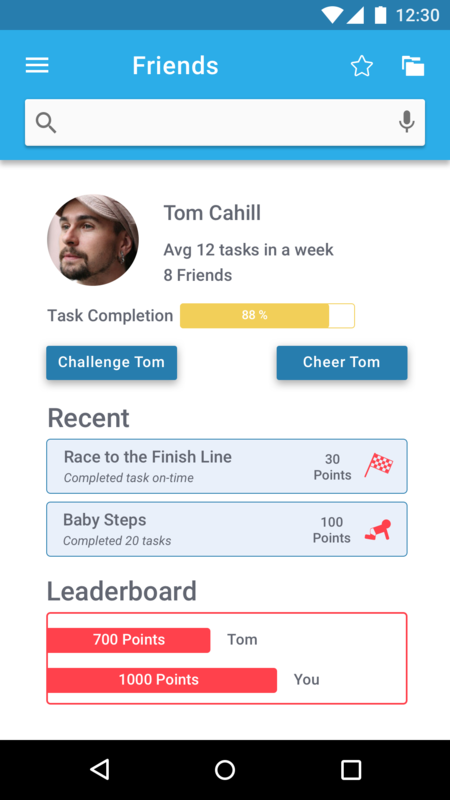 We wanted to address the problem of procrastination in a user's workflow and provide the required motivation to complete these activities on time and reward users for being more productive. 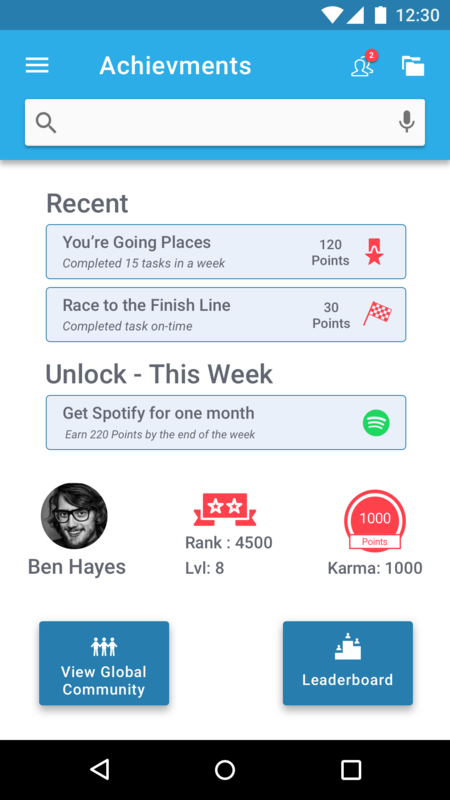 So we designed an application that maintains to-do lists with gamification and community features. 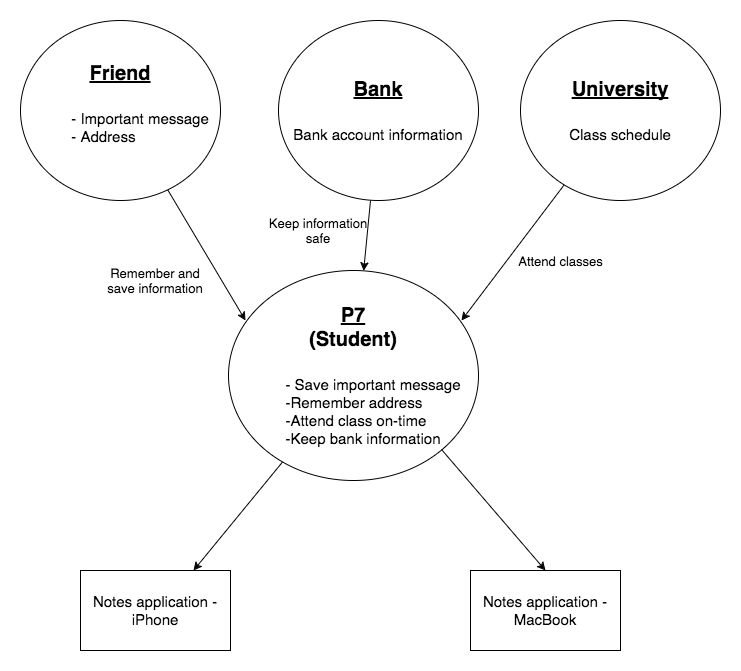 We decided to select participants from a educational environment due to our proximity to a university campus. 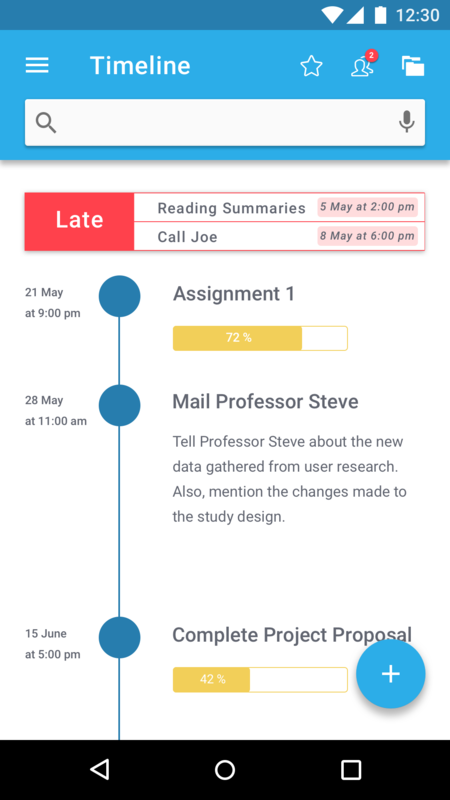 We wanted to see how they remained productive during a semester of courses at a university. 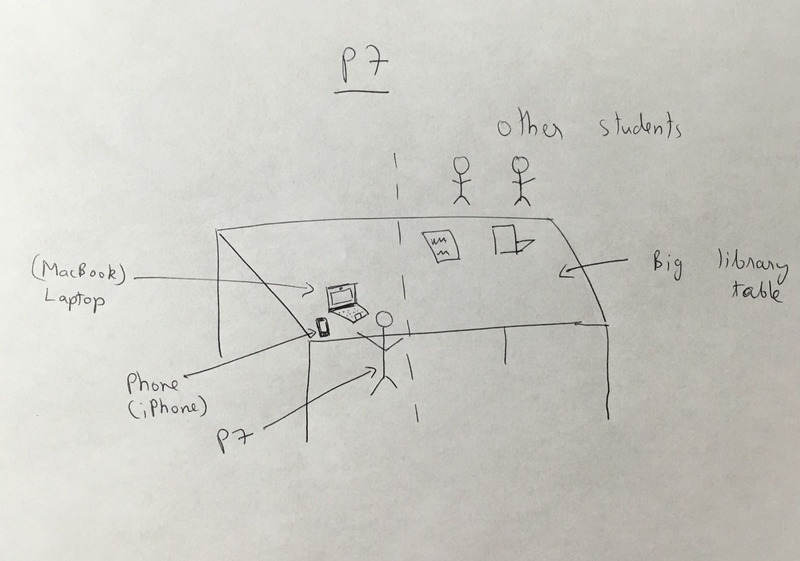 Five students and two professors were interviewed. 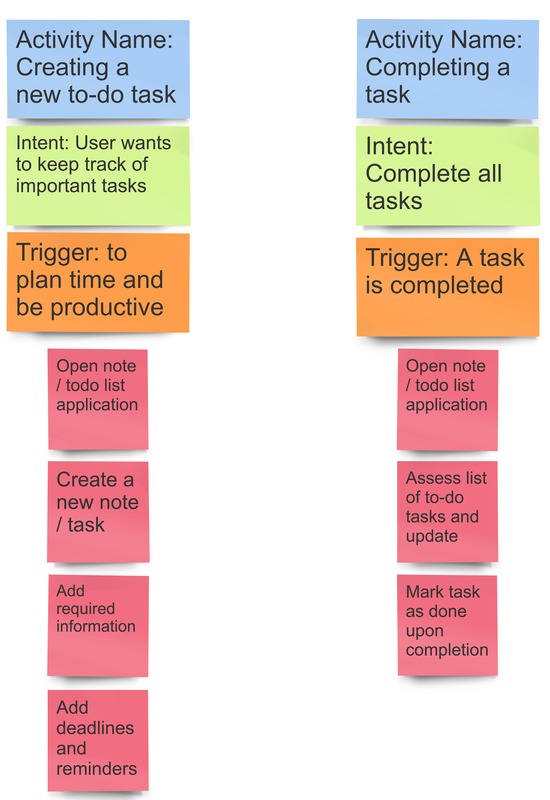 The findings and observations from these interviews were converted into various models, which were then used to identify key user work flows and gain important insights. 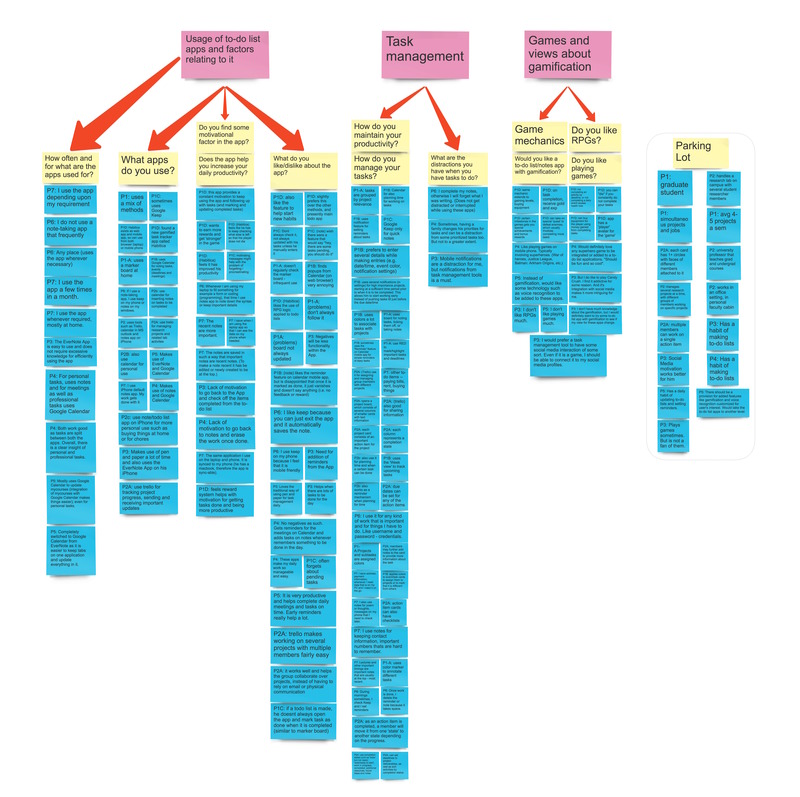 We also created an affinity diagram that organizes the individual notes captured during interpretation sessions into a hierarchy revealing common issues and themes. 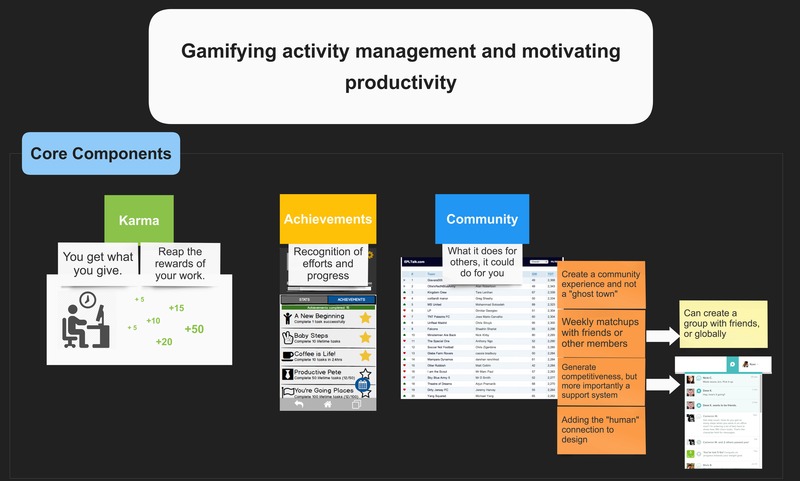 We found that several users employed a variety of practices for grouping tasks - such as by personal/professional tasks, by project, or sorted by importance. 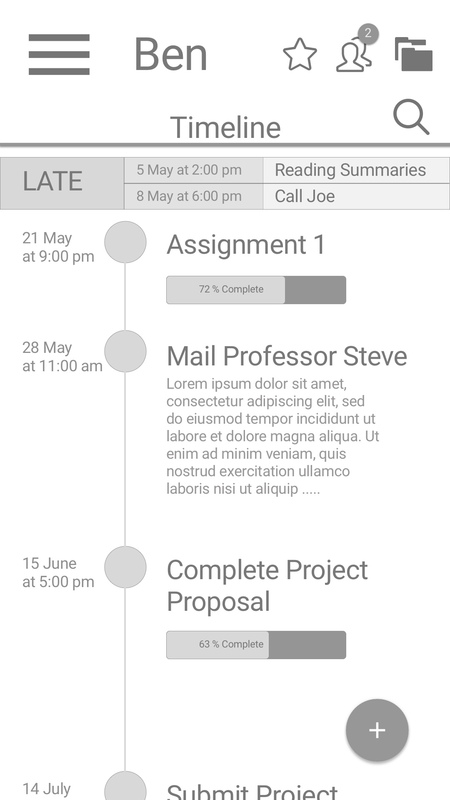 We noticed that some participants also preferred to have a timeline for noting upcoming tasks in the order of the due dates. 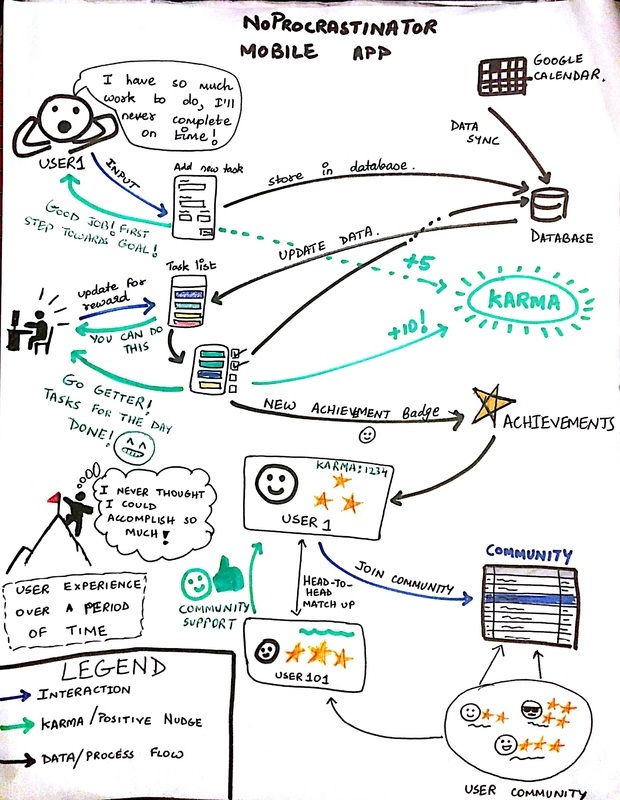 Based on the observations made above, our group gathered for brainstorming on new design solutions that could achieve our goal - to design an application that would motivate users to complete their tasks on time and gamify their experience. 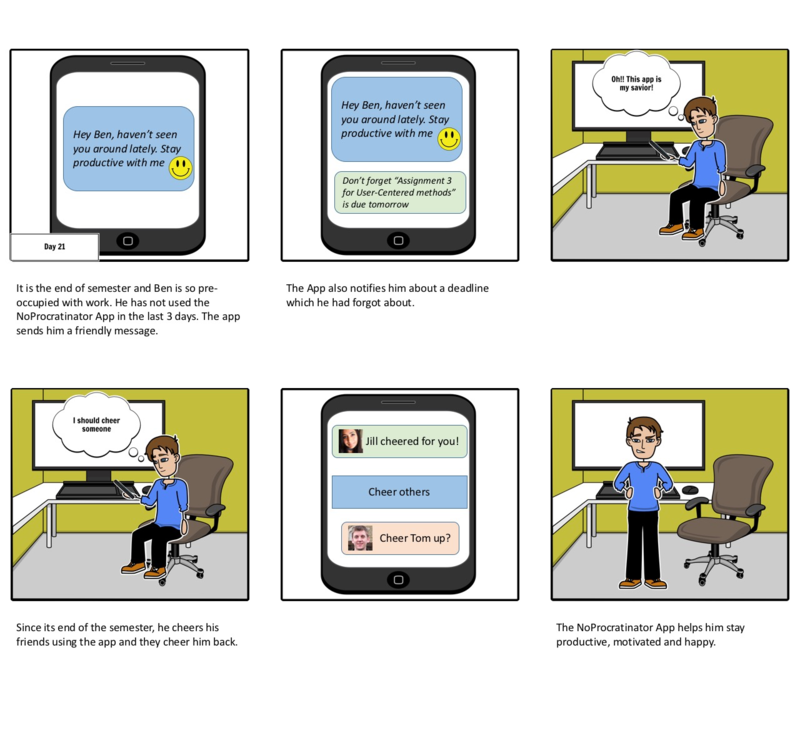 We wanted a more human-centered approach to app behavior - the app does not simply send notifications and reminders, but rather talks to you and tells you about upcoming issues that need to be handled (like a friend). 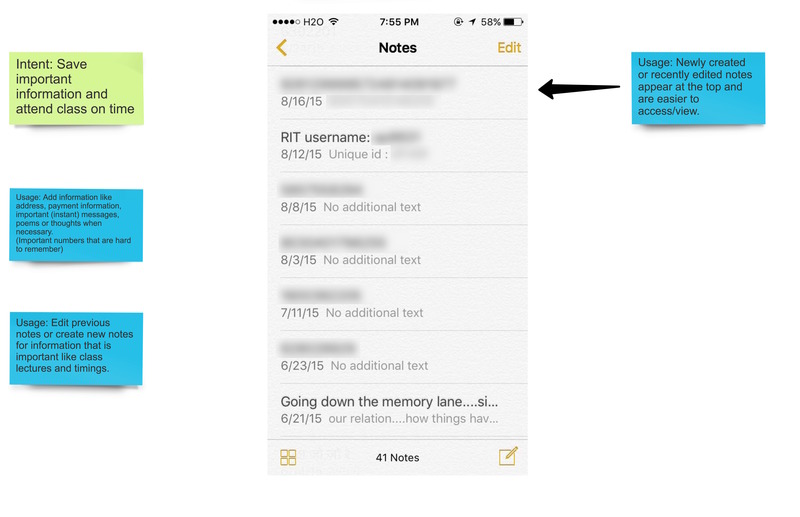 The app would have a timeline view for a different perspective on things to be done. 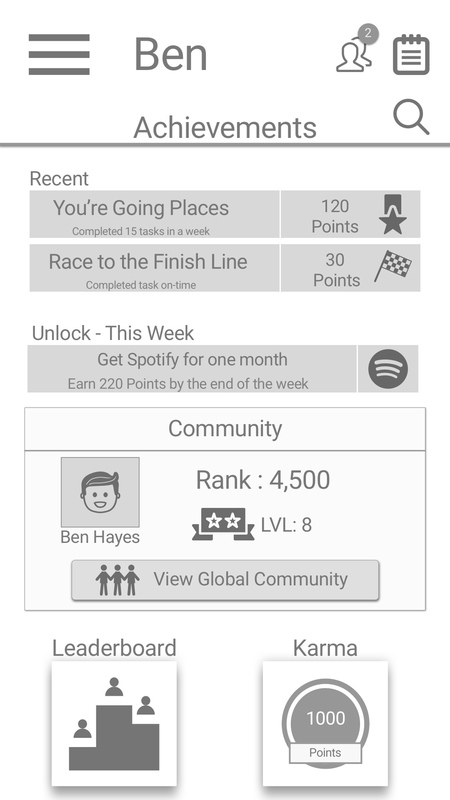 It would also connect with social media and create a community experience. 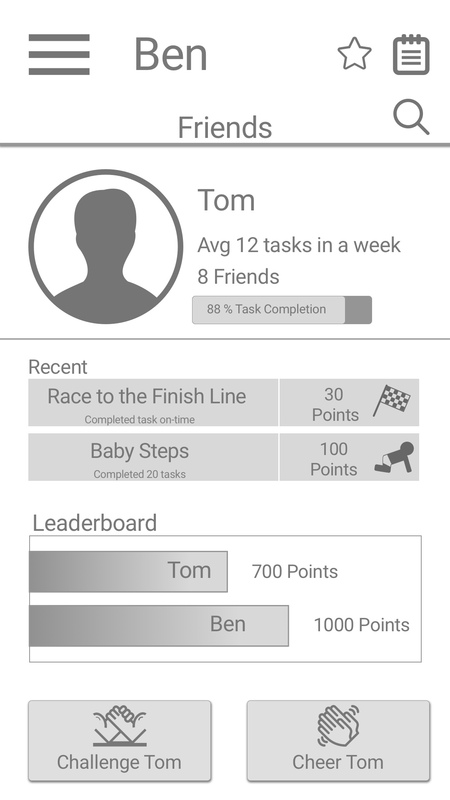 One of the important things we wanted the app to do was provide a sense of accomplishment on task completion. 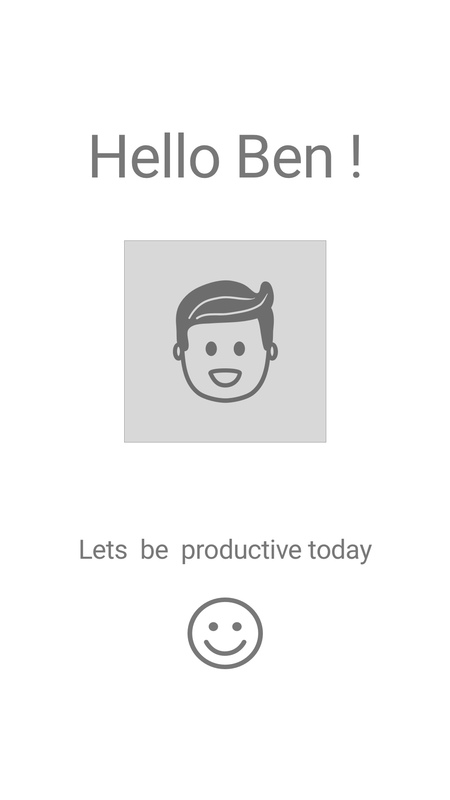 There would be some form of motivational message (reminder) to push the user to action. 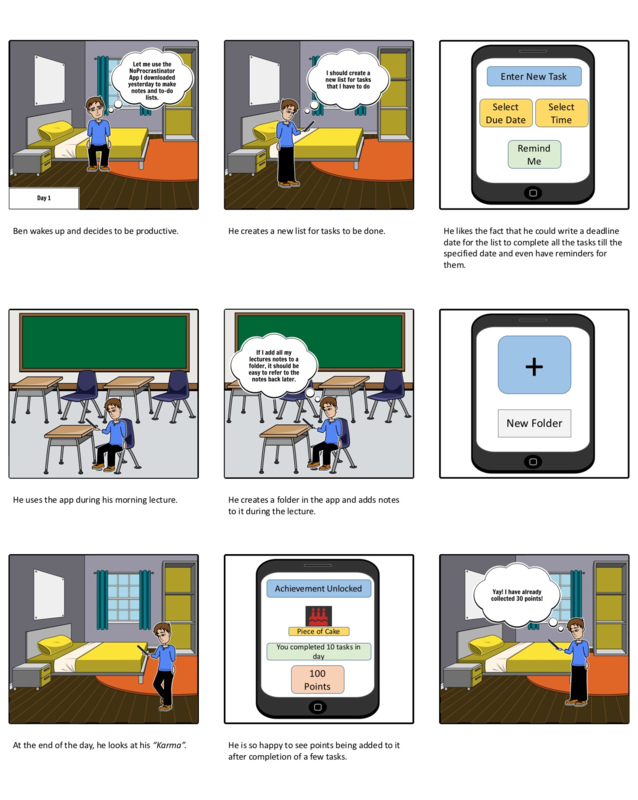 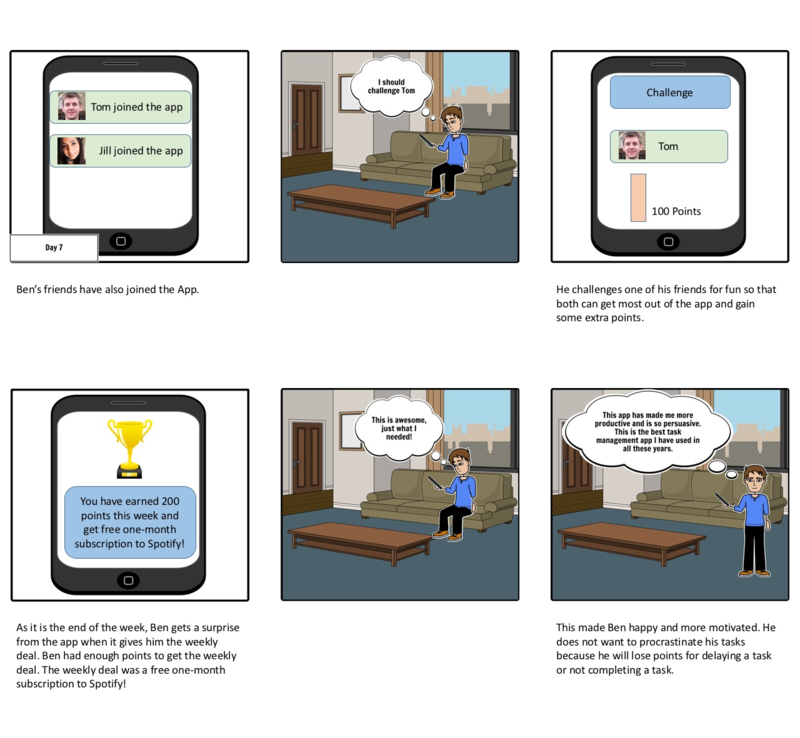 We created some storyboards to showcase how the app could be useful in different scenarios. 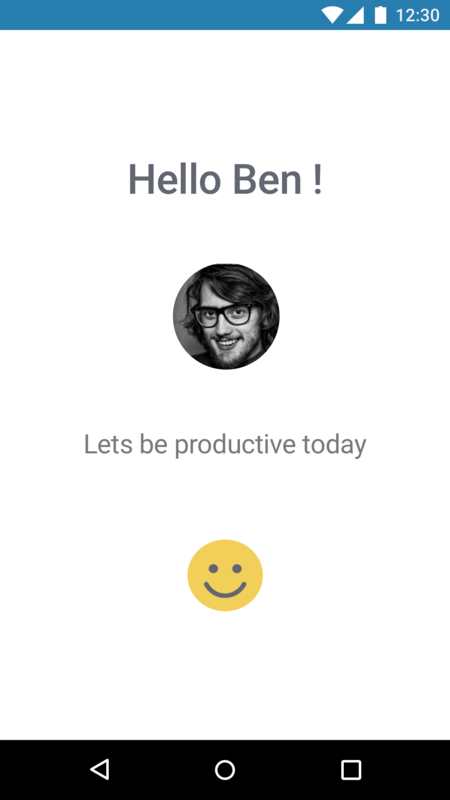 We designed the Hi-Fi Prototypes with Sketch and Photohsop.